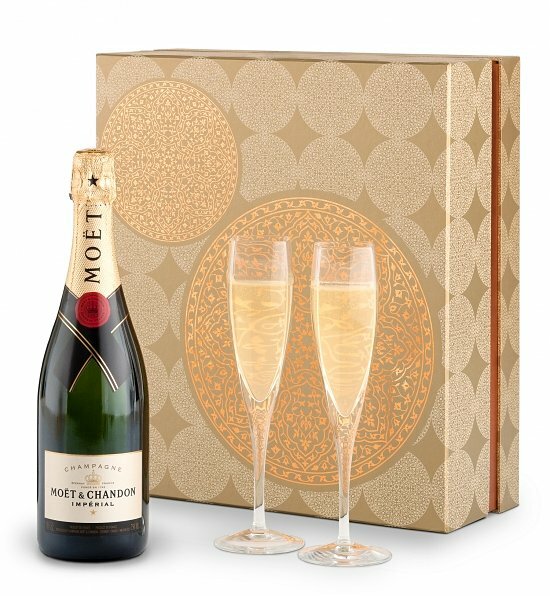 A gift that exceeds expectations in presentation and quality, this exquisite gift set is an impressive way to send a bottle of the world's finest Champagne. The unique experience begins with a metallic-accented wine box that opens to reveal your choice of Champagne and two crystal glass flutes. Your choice of fine Champagne, each world-renowned, makes the gift customized to the occasion and recipient. 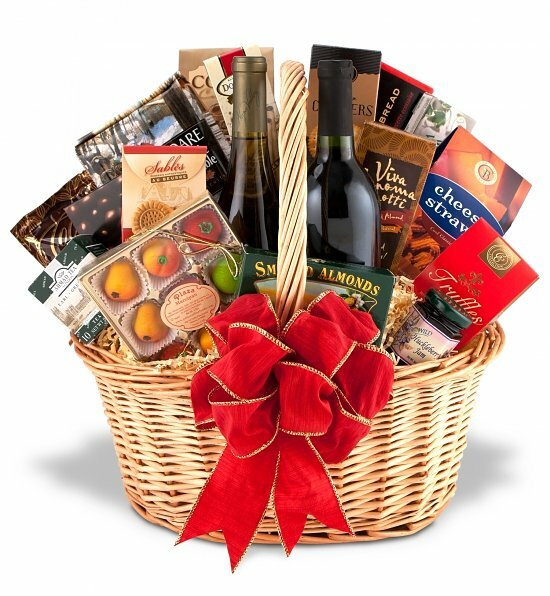 Designed to safely secure delicate glassware and wine bottles, the beautiful gift box can also be used for display or storage after its contents have been enjoyed. Measures 14" x 15" x 6".